[Shanghai, China, and New York, USA. 13th June, 2018] Building on the huge success of last year's global smartphone photography awards, HUAWEI, a leading smartphone brand, today launched the second annual NEXT-IMAGE Awards, with the support of the International Centre of Photography (ICP), the world's leading institution dedicated to photography and visual culture. Visual creatives from around the world are now invited to submit their entries and compete to become NEXT-IMAGE finalists with their work being judged by a panel of experts. The annual NEXT-IMAGE Awards are an important part of HUAWEI's overarching NEXT-IMAGE Plan to redefine visual expression and culture through more professional and intuitive smartphone cameras. Having started in 2017, the awards provide HUAWEI smartphone users from around the world with a gallery where they can showcase their best work to a global audience. Last year there were over 157000 submissions to the awards from over 90 different countries, with 500 finalists chosen. Announcing the launch of the NEXT-IMAGE Awards during his keynote speech at CES ASIA, Kevin Ho, President of HUAWEI's Handsets Product Line said: "The annual NEXT-IMAGE Awards are designed to inspire smartphone users to capture and share moments in life and experience the joy of photography. With HUAWEI leading the way in advancing image taking and redefining the meaning of visual expression, the awards are also our commitment to explore alongside HUAWEI mobile users, the possibilities of next-generation smartphone photography and videography." "I am thrilled to once again collabourate with HUAWEI on the second incarnation of the NEXT-IMAGE awards," says ICP Executive Director Mark Lubell. "The images that emerged from this programme were powerful and provocative. We're excited to continue this programme as a way to engage imagemakers around the world while celebrating the power of mobile photography to spark conversation and increase visual literacy across generations." The 2018 NEXT-IMAGE Awards are broken down into six categories: 'Good Night', 'Faces', 'Hello, Life! ', 'Check-In', 'Timeline' and 'Story Board'. After being whittled down to 500 finalists, remaining entries will be judged by a panel composed of five industry experts including ICP's Mark Lubell, along with five up-and-coming young visual storytellers — many of whom are recent graduates of the ICP School— as mobile photography cannot just be defined by experts, but also by a young generation who use their phones on a daily basis to take pictures to share on social media. There will be one Grand Prize winner who will win US$20000, a HUAWEI P20 Pro smartphone and a HUAWEI MateBook X Pro laptop. Additionally there will be six best-in-category winners and 50 runner-up prizes. 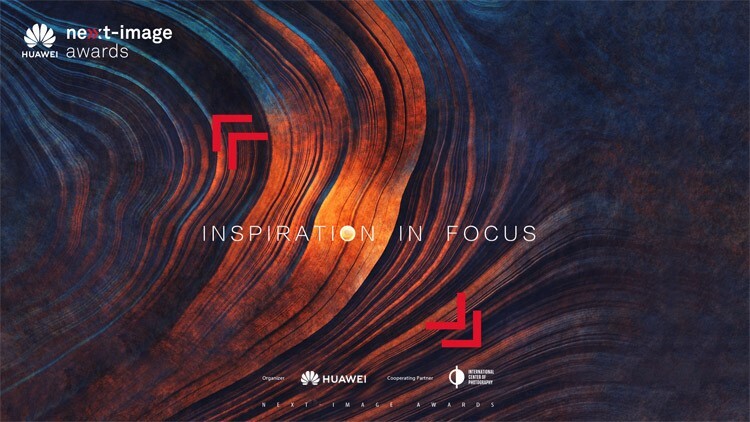 To build on the momentum surrounding the NEXT-IMAGE Awards, HUAWEI will also be holding a series of events focused around the company's vision to expand on visual expression. These include workshops with notable photography experts, called NEXT-IMAGE College, a global exhibition in leading cities, as well as photography Master Class with world-renowned photographers including Alec Soth, Magnum Photos photographer, towards the end of 2018. Through NEXT-IMAGE, all HUAWEI smartphone users will rediscover the joy of creating and sharing visual content. HUAWEI is well-regarded for its mobile photography innovation, particularly through its partnership with LEICA, and its flagship smartphones are known for their cutting-edge technology and best-in-class cameras. Continuing this illustrious tradition, the recently launched HUAWEI P20 series fuses art with advanced mobile technology to offer a revolutionary, professional photography experience. As smartphone penetration grows and mobile camera technology becomes more advanced with ever better image taking capabilities, more people are using their phones to create compelling visual content – content that is far more expansive and diverse than ever before. In effect, smartphone photography is no longer just a form of entertainment, but a new and impactful phenomenon in visual culture, particularly for the younger generation. With the right technology and a unique style, HUAWEI wants to explore the next-generation of visual expression together with smartphone users around the globe.